Tuition Assistance has evolved! 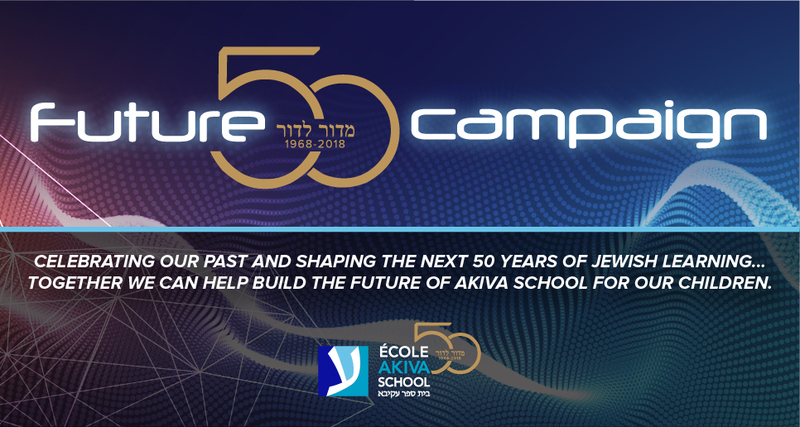 Akiva’s A+A@A program and Federation CJA’s Generations Fund CAPS program (CAPS) have both been structured to support families across a range of income levels, ensuring that all Jewish families in Montreal can have access to a Jewish education for their child(ren). Both programs are complementary to each other, with families receiving subsidies from only one program at at time. For more information on our A+A@A program and how it relates to CAPS, please see our FAQs or download our AAA & CAPS information flyer- 2018-19. Akiva School believes that all students across the spectrum of the community have the right to a Jewish education. The Access and Affordability at Akiva (A+A@A) Tuition Assistance Program makes it possible for qualified families who are unable to pay full tuition to send their children to the school. Akiva uses a third party company called Apple Financial Services to make the preliminary evaluation of your file. Apple financial services now offers an online service. Please see below the steps to follow to apply for financial assistance. Once the information is uploaded the payment section will appear. Please note that Akiva pays the fee. You do not have to fill out this part. If you have any difficulties uploading your tax information, it can be marked “to be mailed”, and the process will continue. You will however need to mail out these documents within 48 hours. If you are not able to use the online process there is an option to download a PDF form and this will have to be mailed to Apple Financial along with the required documents. Federation CJA’s Generation Fund has also created the CAPS program to make an excellent Jewish education more affordable. Deadline for this year is April 9th, 2019! The school stresses confidentiality in its handling of all matters relating to tuition assistance. You may schedule a private meeting with Suzana Rajic, Director of Administrative Services, for any questions or to discuss your family’s personal circumstances at 514-939-2430 or suzana@akivaschool.com.